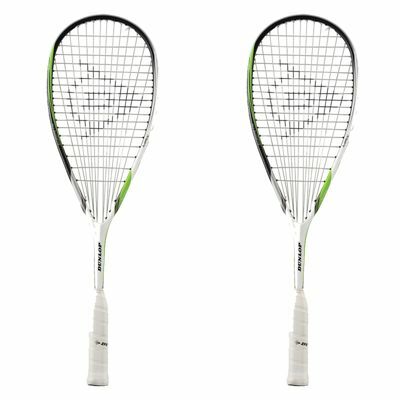 The Dunlop Biomimetic Max pack comprises of two squash rackets featuring the Aeroskin technology for increased speed and power. Each racket has a 78in2 (500cm2) head and an anatomic construction ensuring improved control and precision. The frames are equipped with an open string pattern of 14x18 for extra spin and strung with the Silk string that delivers gut-like playability, touch and feel. The rackets are supplied head light balanced to be easier to manoeuvre and feature the BioFibre technology for greater comfort, feel and control. They also incorporate the MoS2 technology which further enhances power as well as improves spin and durability. 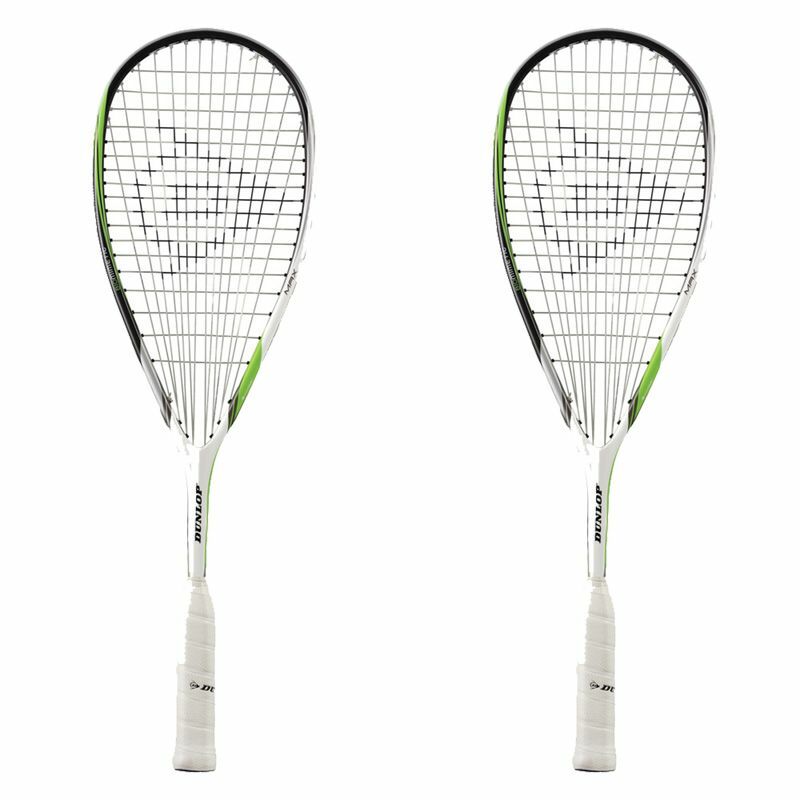 for submitting product review about Dunlop Biomimetic Max Squash Racket Double Pack.